The increasing attention paid by the public sector to the system of socio-political interactions, in line with public governance theories, and the steady diffusion of federalism and administrative decentralization, demonstrate the current importance of public-private partnerships as a way of achieving collective goals in complex contexts. This study concentrates on the Italian tourist sector, which was significantly reformed in 2001. Through an empirical investigation, the paper highlights the main features of the networks developed within the Italian context. Specific attention is paid to the extent and the determinants of integration and managerialisation, viewed as key conditions for the achievement of positive performances. Public Governance issues are a focal point in the debate about Local Public Utilities (LPUs). In the last decades the organizations providing Public Services in European countries are experiencing key changes in their governance and control systems. The exponential growth of shared entities managing local public utilities resulted in a new role for local authorities, which now have to lead real business holdings of public limited companies delivering services to citizens. The Italian picture is characterized by an odd dichotomy between the mission of the local authority and the activities of the LPUs. Indeed, local governments need to keep LPUs under control and to be able to define how to provide services, in keeping with the principles of social rights and equity. The research aims at verifying the state of the art of Italian local authorities governance on their LPUs by means of a semi-structured survey with multiple-choice questions. The questionnaire has been submitted to a selected sample of Italian local authorities with more than 20,000 inhabitants (515 entities). The main result of this study confirms the previous research: local authorities need to develop a structured multidimensional information system in order to better evaluate and control the competitive, social and environmental performances of their LPUs. To date, few local authorities use governance mechanisms to control their group of LPUs, while the vast majority lacks the required tools and consequently cannot apply appropriate governance on LPUs entities. L’articolo esplora il fenomeno del bilancio partecipativo (BP) in Italia, traendo spunto da approfondimenti e riflessioni concernenti la public governance, la partecipazione e le modalità d’inclusione dei cittadini nelle politiche degli Enti locali. Illustra e discute i risultati di una ricerca condotta su un campione di Comuni che già da qualche anno contemplano il BP come approccio alla programmazione e, in particolare, si sofferma sulle caratteristiche del contesto nel quale il BP ha trovato concreta attuazione, sulle modalità con cui è stato implementato, sulla tipologia di interventi più ricorrenti e sulle criticità rilevate nelle unità oggetto di analisi. Le conclusioni lasciano spazio a considerazioni su quali azioni occorre ancora promuovere perché il BP possa essere realisticamente considerato uno strumento di effettiva utilità alla gestione dell’ente locale. This paper explores the phenomenon of participative budgeting (PB) in Italy, drawing inspiration from insights and reflections on public governance, participation, and citizen involvement in local authority policies. It illustrates and discusses the results of a survey addressed to a sample of municipalities that, for some years, have been using PB as an approach to resource allocation. In particular, it focuses on the contexts in which PB has been actually implemented, the ways by which it was carried out, the most common policy areas that have been exposed to PB, and the main issues that have been encountered. The conclusions highlight what is still needed for PB to really become a tool for effective management. Il contributo analizza il processo di attivazione e l’evoluzione della governance del distretto culturale dei Castelli romani, integrando diversi approcci teorici e modelli concettuali (stakeholder management, public governance…) presenti in letteratura e dimostrando come questi possano essere utilmente applicati per analizzare i sistemi di governance dei distretti culturali. Dopo aver esaminato il processo di riorientamento verso il modello del “distretto della creatività”, il confronto con altre best practice nazionali di collaborazione interistituzionale permette di identificare le funzioni di coordinamento strategico dei network nei distretti culturali e le relative competenze chiave. 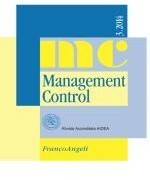 This paper analyzes the activation process and the evolution of governance in the cultural district of Roman Castles, integrating different theoretical approaches and conceptual models (stakeholder management, public governance…) in the literature and showing how they can be usefully applied to analyze governance systems in cultural districts. After reviewing the process used to re-orientate the district towards the “creativity” model, a comparison with other national best practices of interinstitutional collaboration allows to identify which are the strategic coordination functions (and related core skills) of networks in cultural districts. In the last years local governments, together with other public and private actors, have started strategic planning processes aimed at recovering or increasing the competitiveness of urban areas. Through an empirical investigation carried out on an Italian Regional context without any previous experience of city strategic planning, the paper intends to shed light on the adherence of the experiences to the typical principles of the public governance paradigm. Within the limits of the selected sample, this research study has the objective of verifying the effectiveness of the managerial tool in breaking the bureaucratic top-down approach of traditional decision-making processes and in promoting new governing models based on social participation.